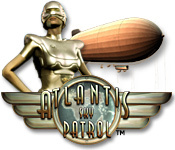 Atlantis Sky Patrol™ is rated 4.4 out of 5 by 21. Rated 5 out of 5 by Eveoflove from Still enjoyable in 2018! Released in 2006 and designed by Big Fish, I just finished playing this game on my Windows 10 PC without any issue: full screen, custom mouse pointer, all visuals and sounds. The game has 111 levels, and successful completion is achievable even to non-expert players (like me) of the marble popper genre. Colourful despite having only 6 colors of marbles. The game also has some interesting features, especially regarding ship upgrades, without being complicated to understand and apply. Just the right challenge for me: I had to replay some levels, sometimes because my strategy wasn't good enough, but not to the point of becoming frustrating! Try it !!! Rated 5 out of 5 by TheRealMagicJack from If You Like Luxor, Get This This game has many similarities to the Luxor series, with enough differences to make it fresh and legal. It's a fun version of that premise with a really cool, almost steam-punkish atmosphere. Rated 5 out of 5 by Stephen0118 from A lot of fun but challenging This is a marble-popper game, but the challenge is not only that you have to shoot the marbles before it reaches the end, but you also have targets to shoot at that, when cleared, will stop the marbles from coming. Destroy those targets and the waves of marbles will stop. You ca play solo or challenge another player. Rated 5 out of 5 by MmeMoxie from AWESOME Marble Popper Game !!! I purchased my game, on 5-14-2008 and am STILL playing!!! I love playing this game. While, the boards will remain the same at each level, throughout the game ... The dynamics change at each level, every time you start a new game. It is very simple, the color of the balls, are constantly changing. Plus, there are 111 Levels to complete and each level is different, than the previous one. Also, the levels get harder, as you do more levels. One of my favorite parts of playing, is trying to get the cluster of standing still marbles, where a "door" opens and closes. Plus, at the same time, you are trying to "kill" all of the moving balls!!! Extremely challenging, in my book and that is why, I still play this game, to this day ... For over 6 1/2 years!!! Trial or Demo it ... This is NOT your typical Marble Popper game. Rated 5 out of 5 by psmithwells from When you get my account fixed, I probavly will buy it, but not before... I love this game genera. It is exciting fast pace , entertaining. Technically great. Rated 5 out of 5 by theHypnotist from Addictive game! When I used my free hour up on my second computer, I knew it was time to pony up the dough! What can I say, addictive gameplay: one of the few games that hooked me as well as Zuma. Great graphics! Awesome East Indian flavored music! Now for the downside: as a decent game player who has won the original Zuma many times, it could be more challenging, perhaps having more than one difficulty setting like Luxor. Then again, Luxor isn't quite as addictive (to me). Rated 5 out of 5 by Rudygeegee from A Marble Popper I Can Finish! 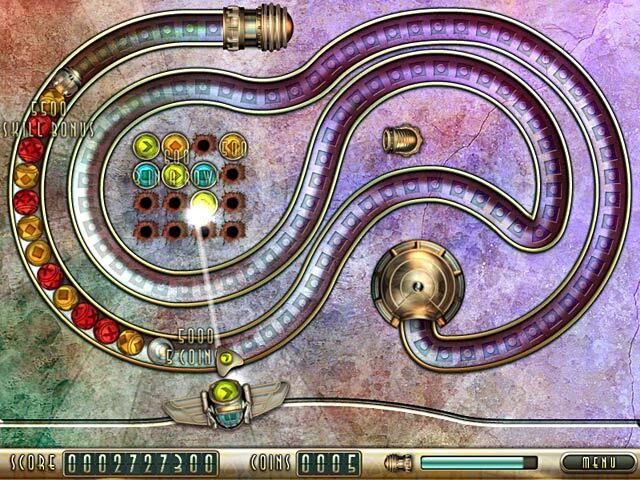 I love marble poppers, especially ones that I have a hope of finishing!I have the first Atlantis, and I admit it, I cannot finish the last game. My husband has finished this game 5 times; me, zero. 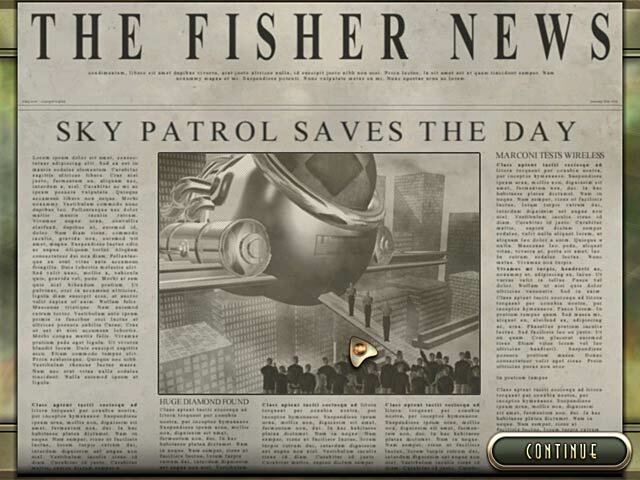 So, when Sky Patrol game out with special bombs and helpers you can use, I knew I had a chance. Love the music with the game, and the graphics are beautiful. Yippee! Besides having a blast with this game, I actually finished it. Would I play it again? YES! Rated 5 out of 5 by Heather_G from Really a slick, enjoyable game! Beautiful marble shooter with nice, subtle music and sound effects. There are no villages to rebuild or silly minigames, just marble shooting done right. Very polished, smooth running little game. What I really love about this game over Zuma, Stoneloops, Sparkle, and Birds' Town--all of which I own and play--this one I can actually WIN!! It isn't that easy, but it isn't stressful-hard either. It's a nice challenge that keeps you wanting to play right to the end. I can get right up to the very last screen in Zuma, but have never, ever, won the darn thing. I really feel like I accomplished something by finishing this one. My one complaint, which is very minor, is that I wish you could replay as the same player profile to try to improve your best score. Indeed, you can't even view your previous scores at all. I highly recommend this as one of the very best of the genre.